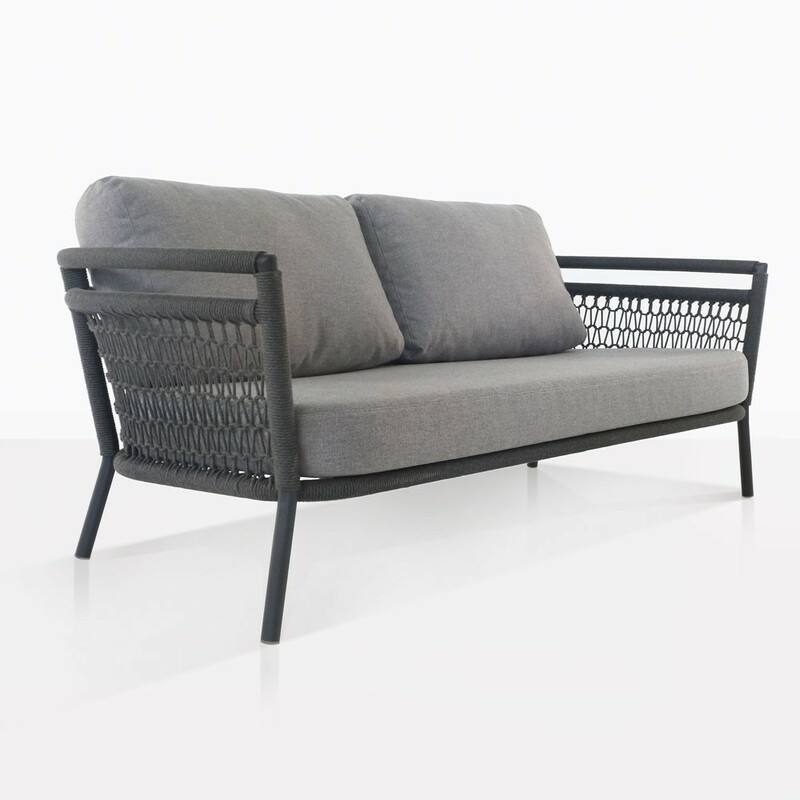 Melt into extraordinary luxury with the fantastic aluminum rope Usso Outdoor Loveseat in stunning fog color! A charming set that collaborates traditional style with incredible new materials, the Usso Outdoor Collection, featuring the Loveseat and Usso Club Chair gives you many options to set up many spaces for relaxing in the great outdoors! A suite that is both chic and simple, elegant and contemporary; Usso reflects modern sensibilities in its effortless design. Situate your Usso Rope Loveseat in the garden with a beautiful Sunbrella® cantilever overhead, to lift the look into a more urban vibe, a concrete coffee table or reclaimed teak choice will give your set up a modern flourish! Perhaps your large deck is in serious need of some seating. 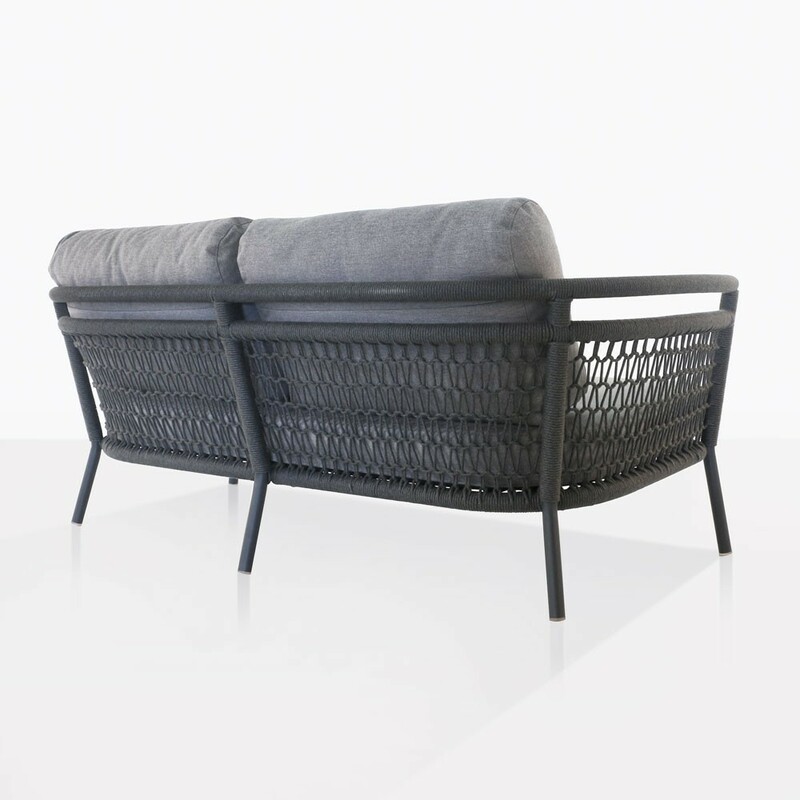 Two Usso Outdoor Loveseats opposite each other with a couple of Usso Club Chairs will open up your area for welcoming, luxurious comfort in the tranquil environment of your own home. There are many options when it comes to this sensational set! The Usso Collection is made from premium products ideal for outdoor use. New outdoor rope is state of the art, a through dyed polyethylene material that performs well with UV exposure, and continuing to look beautiful year after year. Finally, the sleek style of Sunbrella® is featured on our wonderful cushions, adding to the comfort and quality of the beautiful Usso Collection. 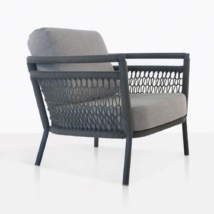 Teak Warehouse is the leader of outdoor furniture, we ship our incredible luxury products all over the country, using premium, white glove delivery services, meaning that your fabulous deep seating, dining, reclining, shading and accessories will have you in absolute comfort asap! 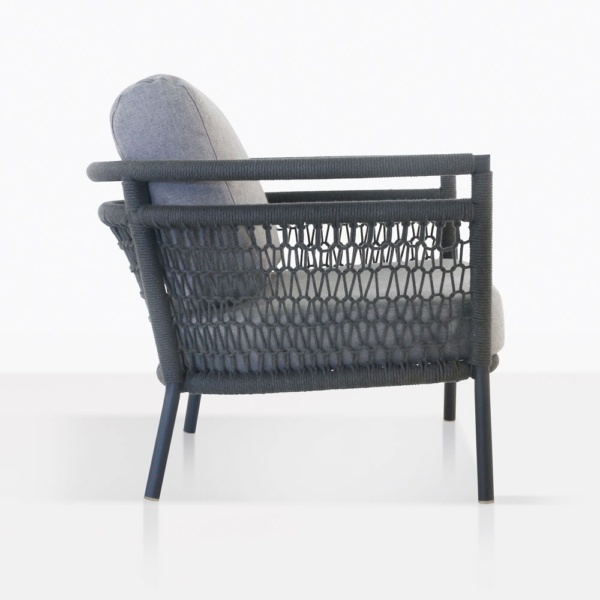 Our Usso Outdoor Loveseat is a stunning product from an excellent collection. Call us today to order yours and find out what options are available to you!